Coming into the EA conference this year, I had some questions on my mind. Not about what would be announced, that was pretty much all leaked a week ago, but about how they would present a view of the future. The fact that they put out a game that got governments looking at how video games are making money had them in a weird spot. So what did they do? Well, they played it kind of safe, and kind of boring. Battlefield V is going to have a Battle Royale type mode! If I cared much about the big military shooters of the year this might mean something to me. What I can say is that this mode, at least in my mind, makes more sense in a Battlefield game than it ever would in Call of Duty. They were always about bigger maps, and vehicles, and mayhem in a way that CoD wasn’t. I think the way that destructibility works in Battlefield seems like it could make for a neat 100 people on an island scenario. Anthem was shown again, with very little more detail than last year. Honestly, it was surprisingly little detail considering they gave it a release date of next February. We are under a year and they didn’t have enough footage to avoid looping the same concept art and 5 second clip over and over? That reads to me like some kind of problems are happening. Not to mention how much time they spent telling us, “There is a lot of story in this multi-player game.” The basic structure sounds more like there is a slightly more fleshed out town to have cut scenes at between journeys into the surprisingly empty playground. I get flashes of The Division and Destiny. It doesn’t look bad, but it lacked a sense of place among the other games doing this. The biggest surprise was that they brought someone out to talk about Battlefront II. The game that put them into this hot water. A game that made headlines in news, and not because it carried the Star Wars name on it. A game that fucked up so badly it caused the games talked about in this year’s conference to say, “We don’t have loot-boxes in our game,” as a legitimate selling point. They brought someone out to talk about more content coming to that game. And his delivery was, exhausted. He sounded like a man dragged onto the stage to deliver a message he knew would fall on deaf ears. A message that would only be heard by a community that has likely threatened his life thousands of times, and will do so again today. This was a surprise because, frankly, I cannot believe EA has not just cut their losses on that title. 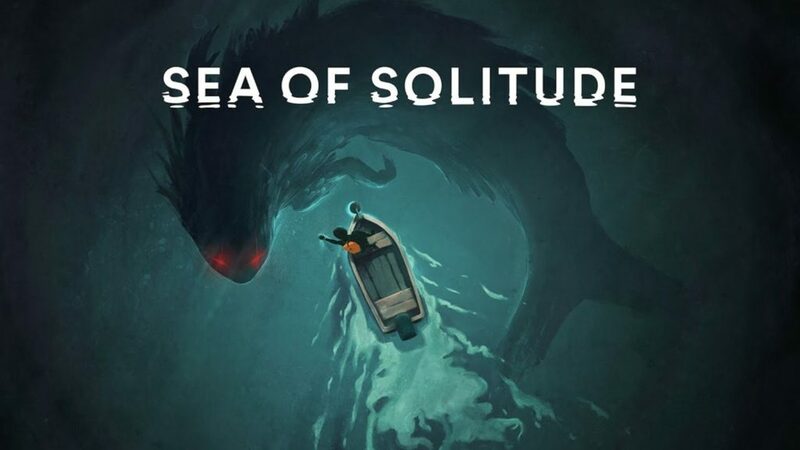 The big highlight was Sea of Solitude. This really won’t be a shocker to those who have paid attention to my reactions to EA in the last few years. They are really good at finding a passionate indie developer and giving them a stage to open up to the world and show us something cool. I found the raw emotion of the developer on stage to be entrancing, and the look of that game was striking too. A flooded world where loneliness turns people into monsters. Monsters that kind of reminded me of the wormy-corrupted animals in Princess Mononoke. It was light on the details of what the actual gameplay is, but damn I am interested to see more. Unfortunately my track-record is pretty crap with actually getting to those games.